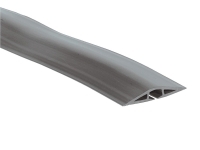 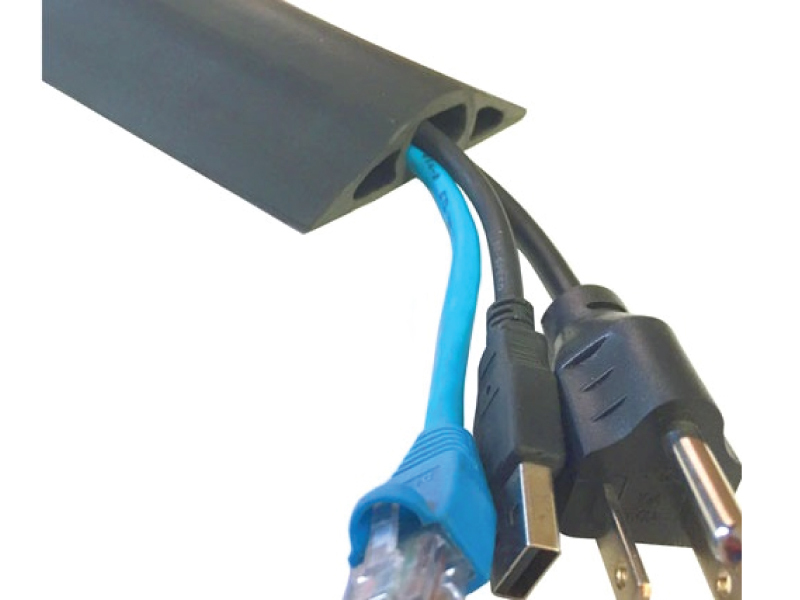 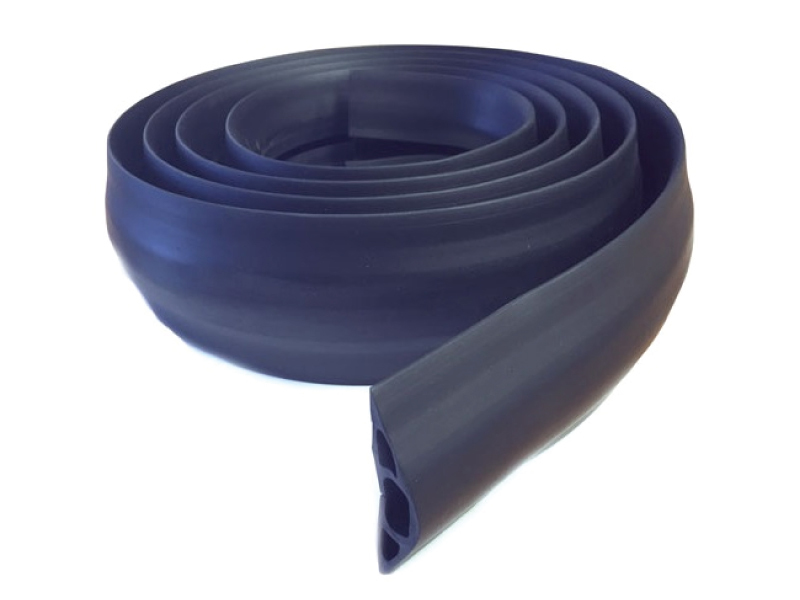 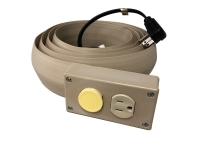 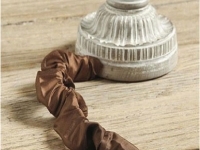 Perfect for the office or home, our Rubber Duct cable cover can conceal all of your messy cables, while preventing pedestrians from tripping. 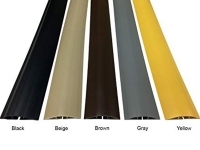 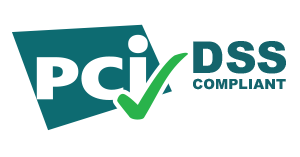 This durable product is made from flexible non-metallic rubber, which makes strong enough to handle a large volume of pedestrian foot traffic; great for use in offices, classrooms and commercial applications. 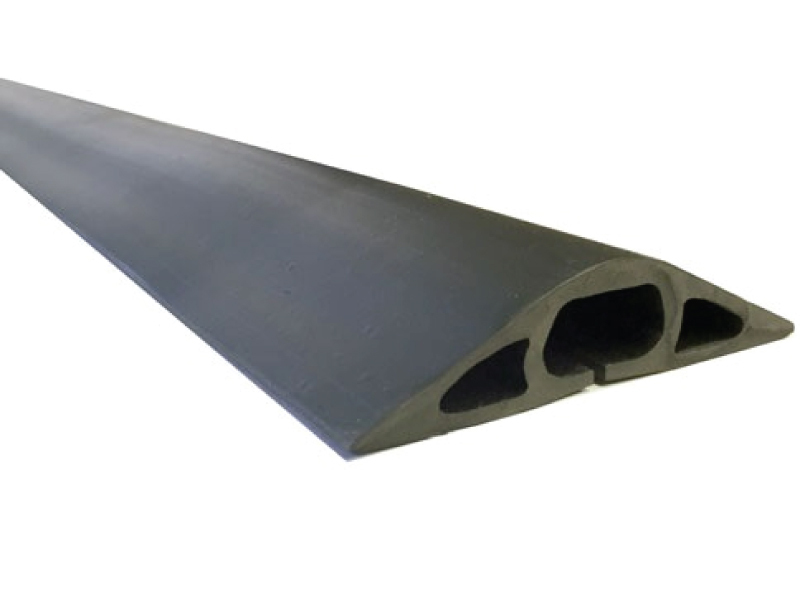 The ten foot (10’) length can be cut to length for all of your specific applications.